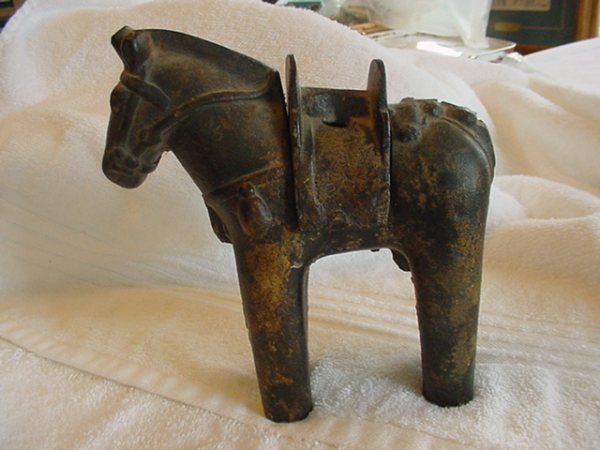 Description: This 2 piece bronze was bought in Hawaii in the ‘70’s. It measures 14’ from nose to tip of the tail. 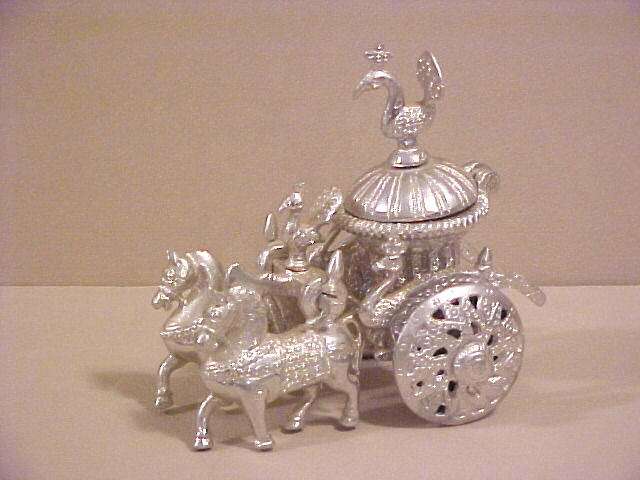 Description: Horse incense burner. 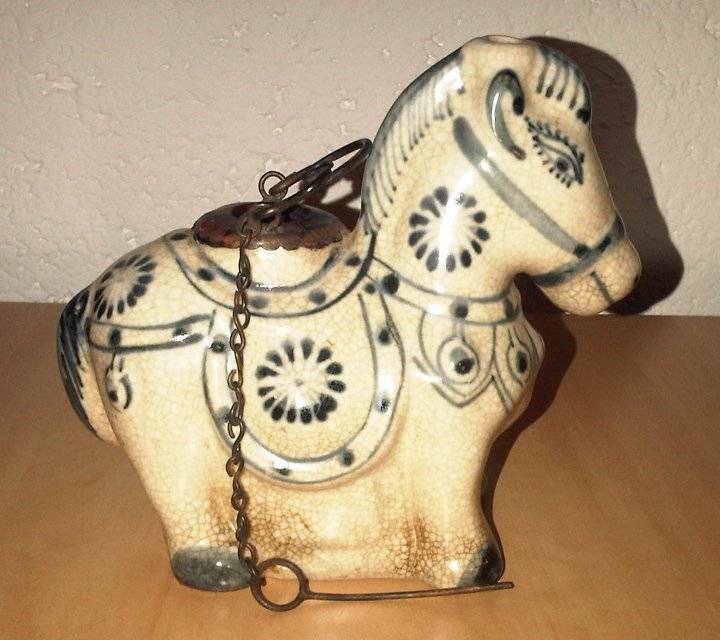 It can be opened by the saddle. 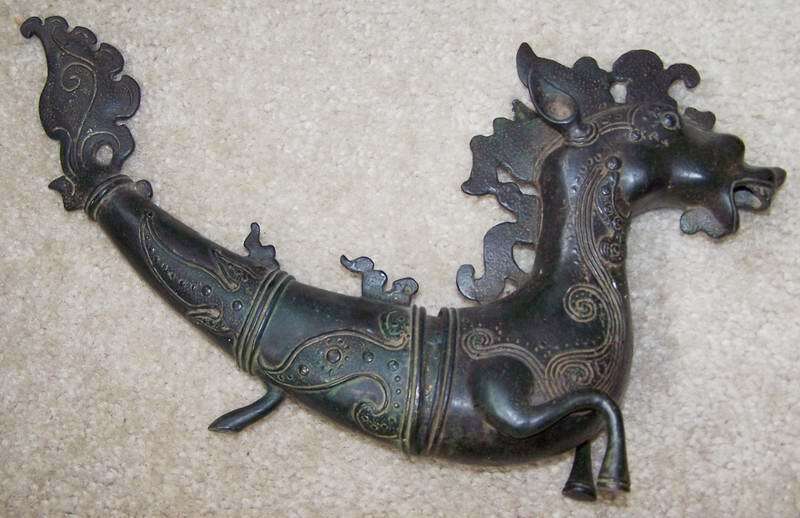 Description: This incense burner is approximately 11” in height and 9” in width. 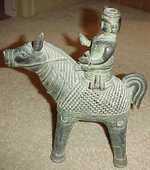 The warrior / rider is naked from above the waist with turban, earrings and a neck plate as well as a type of loin or banding at the waist. 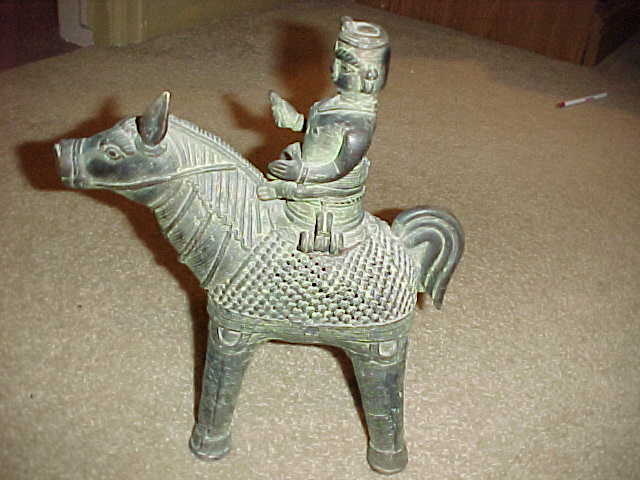 The rider holds a blunt weapon / instrument in his right hand and sits cross-legged on the horse. 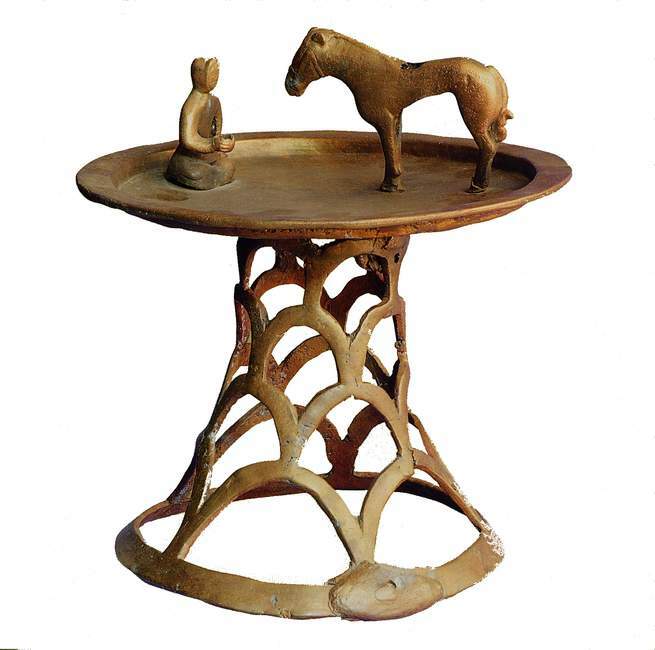 Description: Incense altar with a horse facing a human figure on the top. 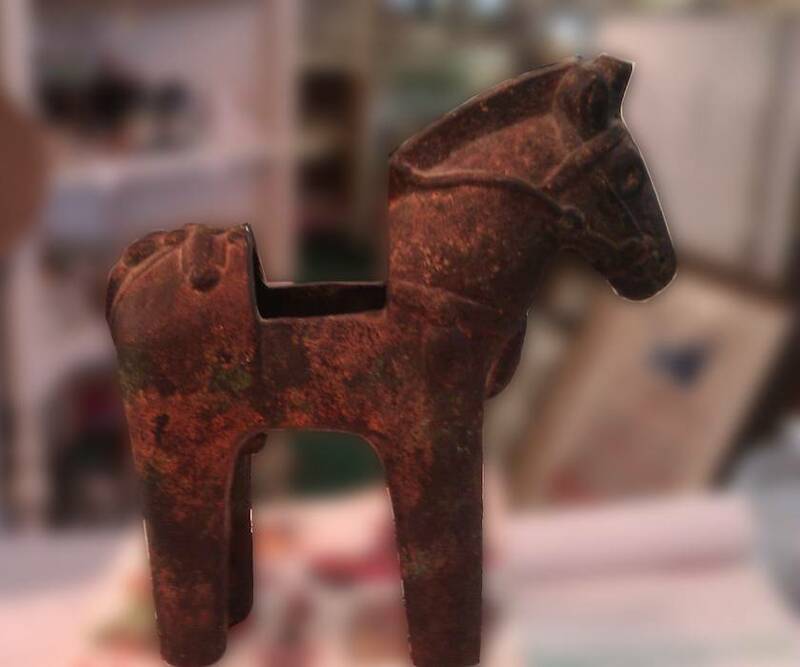 Description: Trjan Horse Incense burner. A removable saddle is maybe missing. Description: It's made of ceramic, apart from the 'saddle' detail which is metal. It stands about 4" high to the top of the head. It is hollow, with a hole on top of the head.